Home » Reviews » The Volga Dream is the best ship for cruises! The Volga Dream is the best ship for cruises! Overall, the trip was great. I would have liked a couple more days in St. Petersburg to visit more of the museums and other attractions. The tour of Catherine's Palace was enjoyable and our guide was excellent. Fortunately, we went into the Church of the Savior on Spilled Blood in St. Petersburg the first morning we were there. The Volga Dream was unable to make the passage through Lake Ladoga and Lake Onega to meet us in St. Petersburg due to high winds which resulted in waves higher than the Volga Dream's safety tolerance. As a result we were able to go to Kizhi Island, where our tour guide gave us a charmingly narrated tour of the island. To make up for missing Mandrogy, we made a several hour stop in Petrozavodsk as well. The ship also arranged a music performance which was a lot of fun. We saw lots of churches, cathedrals and icons during our stay. Our tour guide in Moscow and the private guide we had for Suzdal, etc., did the best jobs of explaining the use of icons in Russian Orthodoxy. The group we were placed with was reasonably fit and capable of walking long distances. As a result, our Moscow guide asked us on several occasions if we would prefer to walk rather than be shuttled by bus and we elected to walk. I would therefore recommend that, within language groups, the tours be constructed to provide an option to do a walking tour in lieu of being bused. 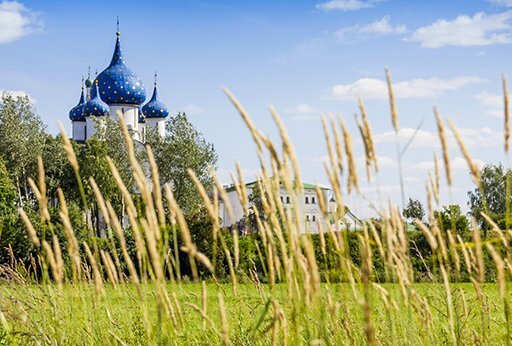 As for our private tour of Suzdal and other places it was a refreshing break. 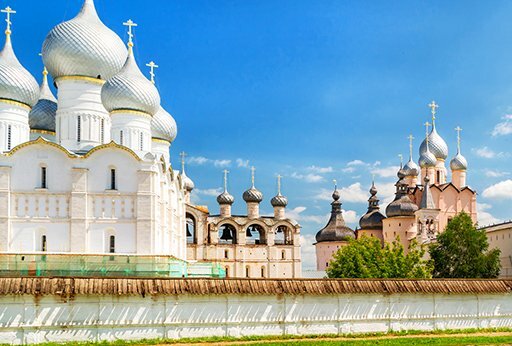 The Volga Dream is the ship to use on the cruise transit from St. Petersburg to Moscow. We saw the insides of a handful of other ships when we docked and had to go through the other ships to make it to land. There was no comparison.